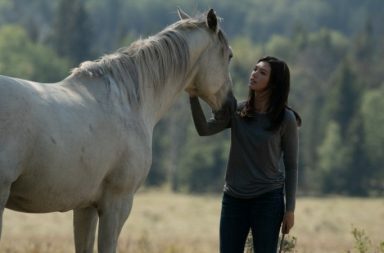 For a while now fans of CBC’s Heartland have been wondering if there will be another season of their favorite show. 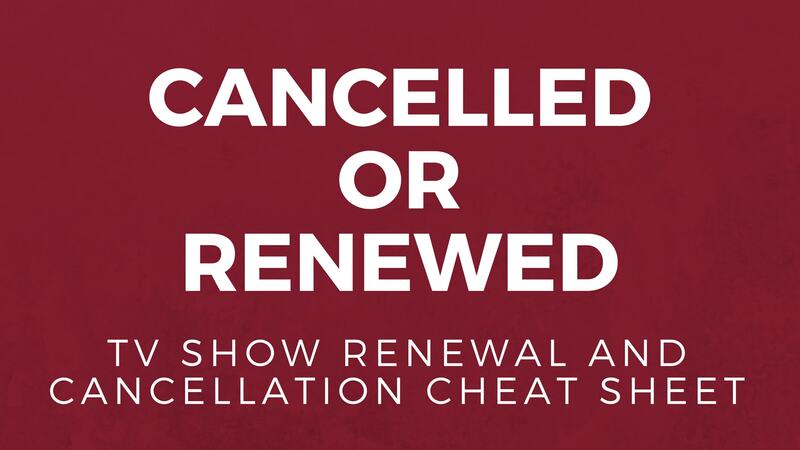 Or if season 12 is the show’s last. 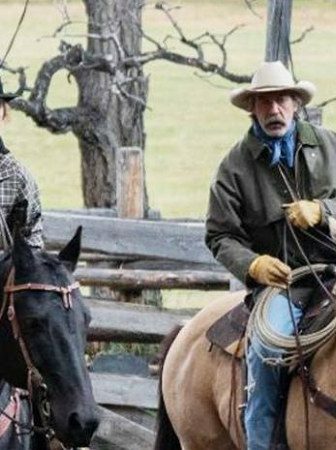 And this worry stemmed from the fact that the twelfth season of Heartland was only given 11 episodes instead of 18 which was the length of all the rest of the Heartland seasons except the first one. Well, the wait is finally over because news just broke that Heartland is, indeed, getting another season. 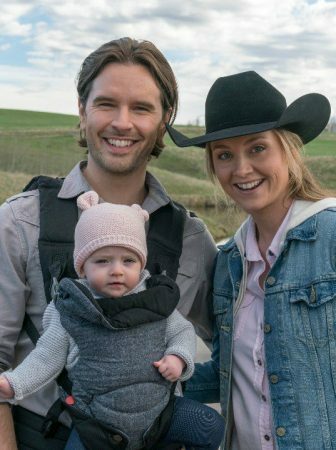 That’s right, Heartland season 13 is happening, friends! 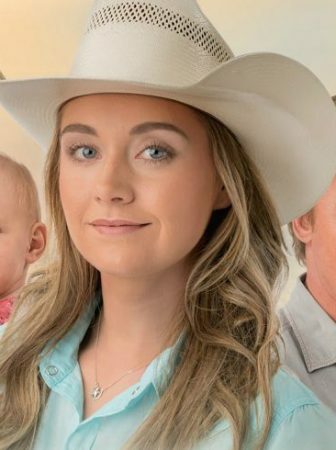 The announcement was made by none other than the show’s lead actress Amber Marshall who plays Amy Fleming on the series. During her announcement, Amber not only told us about the fact that CBC had renewed Heartland for season 13. But also thanked fans for their continuous support. Because let’s face it, 13 seasons is a long time to love a show. But if you are a true Heartland fan like us, then you know how easy it is to love this wholesome family drama. Since the announcement of the renewal just went live, not much is known about Heartland season 13. We do know that the season will consist of 10 episodes, which, although is one less episode than season 12 is still great news. Yet, beyond that we don’t know if all your favourite actors will be back for the new season. Or what stories will be told during it. But what we do know is that we can expect another amazing season filled with family and horses. After all, those are the cornerstones of Heartland. And those are also the two things that make so many people fall in love with this series so quickly. But while we wait for more news on Heartland season 13, let’s remember that there are still two episodes left in Heartland season 12. And I have a feeling that these two episodes are going to inform us quite a bit about what we can expect to see in season 13. 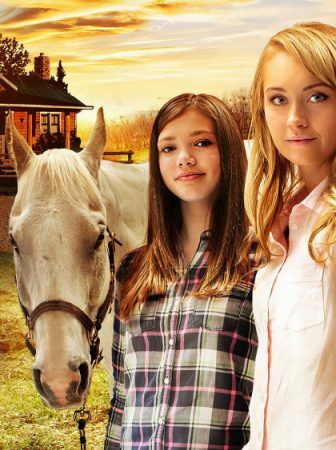 So, are you excited that Heartland was renewed for season 13? And what do you want to see happen on the next season of the show? Let us know in the comments below. 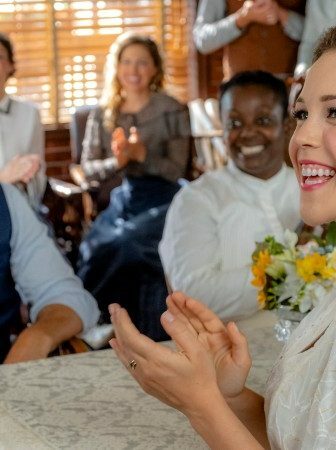 And check back here on the blog or on our social media for the reviews of the last two episodes of season 12 and all the latest news on Heartland season 13! Please don't ever discontinue the series as it is the best series under the sun and should never come to an ending. I love this show. So glad its coming back for Season 13. I would like to see Amy and Ty have another baby, just not yet. They need to build their home first. Caleb and Cass successfully have a baby. Would love to see Lou and Mitch married, and have a couple of kids with their own home on HEARTLAND PROPERTY. Lindy, Katie Georgie and Amy been bridesmaids and flower girls. Young Luke be permanent placement with Amy and Ty. PLEASE PLEASE, no more marriage break ups. Tim married and his own place, the van he got can then be shared in the family for holidays and for visitirs. I Love most things Canadian. I watched it on Netflix and was very excited when Season 12 came about. I actually binge watched it over 3 days. dont end this amazing series yet. However when it dose make the story a great ending. I appreciate actors move on. Heartland best tv show I have seen in many years. Alberta is so beautiful. Characters are all very interesting. Hope ! Heartland will be on tv for many more generations. Good writers and good stories. Would be cool if Georgie had another love interest mix things up a bit? I would love if Caleb and Cass had a baby. 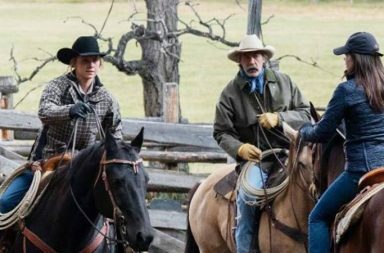 Maybe something new to focus Tim's energy into... A new rodeo student ... could also be a love interest for Georgie. Just love this show....they should do more than 10 episodes. All the actors are amazing.. not sure if I like the new foster child idea. We love Heartland. A true Canadian show showing true Canadian personality. You just need to tone down Lou's character. Amy & Ty, Jack & Lisa should be in every episode. Have Tim become more of a father figure and less a whiner. Keep Georgie as she is, Lou & Mitch married, Caleb to calm down Tim. Ty & Amy's daughter a little more mischievous. Look forward to 7:00 pm every Sunday for Heartland. 1 of the best family shows ever and with what is happening in the world these days, God know we need more show like Heartland. Congrats!! A 13th season is really great news. Just watch episode 11 of season 12, last episode of the season and immediately search the internet to see if they were renewed. Love this show so much. It is really unique and it has such great values. Love being in the world of horses in a way that is respectful of nature, educational, spiritual. Then the great character development of the amazing cast as it chronicles the life of this family is really touching. I just wish Lou's character was a bit less stereotyped, I struggle a bit with her behavior. Here is a brilliant business woman who was a big success in NYC two times, with an amazing back story of this unusual ranching family, a mom who was a horse whisperer healer, and her character over the years has become brittle and unseeing, unable to express herself, and constantly self-sabotaging. I feel it is hard to believe. Lou, and Tim, are both at times a bit absurd. I think they could humanize their characters a bit more and it is lazy writing for such a phenomenal show. But ...nearly...perfect it is! Yee haww !! So happy right now. I hope to see more of Caleb and Cass, and their future baby, who knows ! Mitch and Lou too. They are killing me since season 10 ! So excited that there will be a season 13. I only hope it will be on for a few more seasons. I got my husband hooked on it and he got caught up on all the seasons and we watch it everyday. He loves the show especially Jack. He gets a charge out of him and Tim . We have been to Alberta as we have family there, but have never been to High River where some of the show is filmed, but will try hard to get there on our next trip. Would love to see a visit from Malory and Ashley and Caleb once in awhile. Just love Amy and Ty . The whole cast is totally awesome. Please try to keep the show going. There is a very large fan base. We live in Nova Scotia. Myself I love horses and that is what attracted me to the show. It's great that there's gonna be a series 13 but it does seem like they're wrapping it up. We've gone from 18 episodes to 11 and now 10. That might be, Steven. Although nowadays quite a few networks are doing shortened seasons even for some of their most popular series, so there is still hope for Heartland season 14 and beyond. Heartland is "quality time" for me every night. The stories are similar to life experiences, with natural settings, wonderful actors that pull my heartstrings, and also allows my love and conflict resolution juices flow healthily. You're all doing an excellent job Heartland Team. Thank you for Season 13. We love you and please continue this show. So glad that there is to be a season 13. The only good family show on tv. 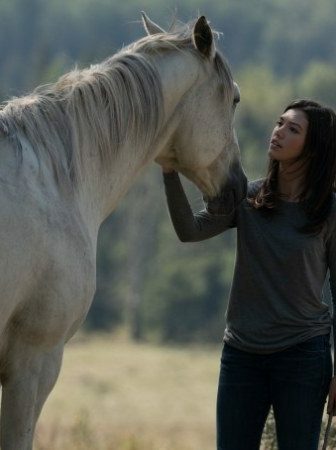 Love to see more of Amy and Ty and more interaction with horses. Possibly using more ideas of well known trainers such as Monty Roberts and others like him. I know Amy and those who with her could certainly carry it off. I love the way they show the caring and love for the horses,and listening to the horses rather than whispering to them. Keep the episode coming please and thank you all for your commitment. Fantastic News! I just hope Lisa is in a lot more of the episodes!!!!! Love all of the characters. I hope so too. We definitely need to se more of Lisa on Heartland! According to CBC Media announcement there will be 10 episodes in Season 13. I just love heartland beyond words...i watch it every day...i dont watch tv at all anymore. 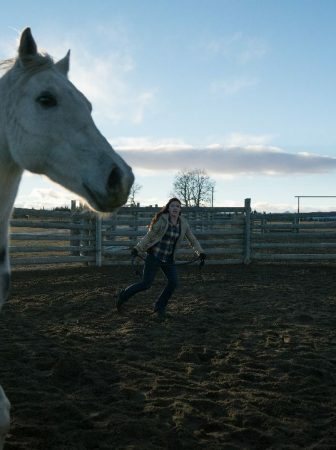 ..only heartland on netflix....i hope to visit Alberta one day and hopefully catch up with the heartland cast somewhere. ....but in the meantime kepp it coming dont stop itstoo good to stop. ....i would like v to see amy and ty have a son....lue settle with mitch...jack and lisa a bi more just love ther relationship. ...love to see amy and jack sing together more often. ...more wonderful episodes were ty and amy work together and maybe just maybe tim might stop harassing everyone once in a while. .. Wow!! It is great to know that Heartland will continue in a another series. Congratulations to the cast and thank you for a great family entertainment. I would like to know when season 12 will come on Netflix? We love you guys. I'll be watching from South Africa. Season 12 probably won't be on Netflix until next summer. Luckily, it will be out on DVD sooner, this fall most likely. Can I ask Netflix of which country? 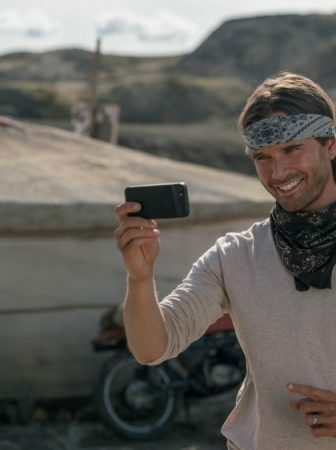 As of right now Netflix Canada has 11 seasons of Heartland, while Netflix US has 10. Super excited for a season 13 of heartland has helped me a lot and is my all time favorite show watch every day can’t get enough of this show can’t wait to see what’s to come!! Love Heartland. Hoping to see the love of Ty and Amy and Lyndy grow. More storylines with them and also Jack, Lisa, Lou,Georgie and basically all of the original cast members. Also would like to see some of the old cast members to visit. Old cast members popping in for a visit is always a treat, so hopefully we will see some long-unseen faces during season 13! So happy the show is continuing. Best show ever. Thanks to all who make it happen. Long As Amy Ty and Jack stay, I'm happy. So thankful for the show is continuing with this wonderful series. It is loved by young and old alike!’ Keep up this excellent work! !